Secrets...dirty ones. He was mine...there was a time.... Or so I thought. Instead, I was simply his dirty little secret. He couldn't, no, wouldn't, risk telling his best friend - my brother - about us. So, I kept quiet. Blinded by love and bound by my own desires, I allowed it all. I didn't tell a single soul about my time with Sawyer, not my brother, not my closest friends. Not then, and especially not now. How can I? My best friend is his ex-wife. The past is the past. I'm over him. I refuse to still love him. From USA Today best-selling author Terri Anne Browning, comes a new Rocker series - Tainted Knights. But time changes people. It has changed me. I'm no longer the little caterpillar he has always called me. I know he needs me - I need him too. Now I have to make a choice.... Stay and pretend like he hasn't eviscerated my heart. Or let go of him completely. 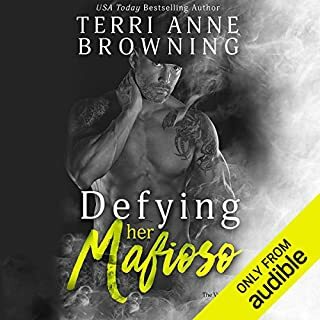 ©2017 Terri Anne Browning (P)2018 Audible, Inc. In this story we get Kassa and Grey's story. We meet them in Lucy & Harris stories. In this one we find what is the reason for Grey's possessiveness when it comes to Kassa. We also learn though she gives him a bunch of attitude she can't be without him either. This story starts out with both of them being little and how each of them brings something to the other they desperately need. As they grow we see how things change and how they don't. Can these two find a HEA or will it all be to much to handle? This is the next amazing story from the Tainted Knights guys. There is so much to this story that I want to tell you about. However I don't want to ruin the story for any other readers. I will say the connection these two have is one of those once in a lifetime kind of connections. You will find yourself rooting for them one minute and wanting to smack one them (mostly Grey) at others. This story will have you hooked from the first word to the very end. You will find yourself not being able to let these two go long after the story end. I would highly recommend it to anyone and everyone. listened to this one first & really enjoyed it (not a “mushy” omg fall in love in a week like the first) which I enjoy more! Story of Children that were lost but found Love in each other growing up together. And finding their Happy. Gray had one bad childhood but was saved by his aunt To grow up to be a Rocker with his friends and Cassa was Adopted by the same Aunt who had Gray as her protector and Friend .. Who Grew up Loving him. This story was sweet. sweet love story... I loved the characters and I smiled throughout. I would love to hear a part 2 of Gray and Kassa's story. This is a story of unrequited love. Kassa and Gray grew up together. He was her protector and she loved him as a child and grew to be in love with him as she got older. Gray struggled with his feelings for Kassa. Their story is heartbreaking at times, but full of love. The narration was great, too. Jillian Macie’s voice is girlish enough for the story without any high pitched whine. J.F. Harding’s voice is deep and delicious and so full of emotion. 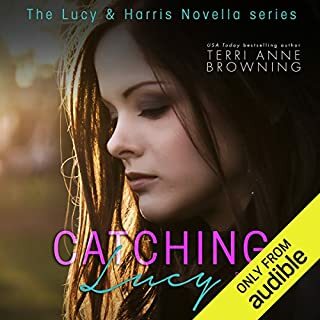 Great author and great narration make this one audiobook I have listened to again and again.